The evolution of e-motion M25 offers extra power and a lighter weight in comparison to the previous model. 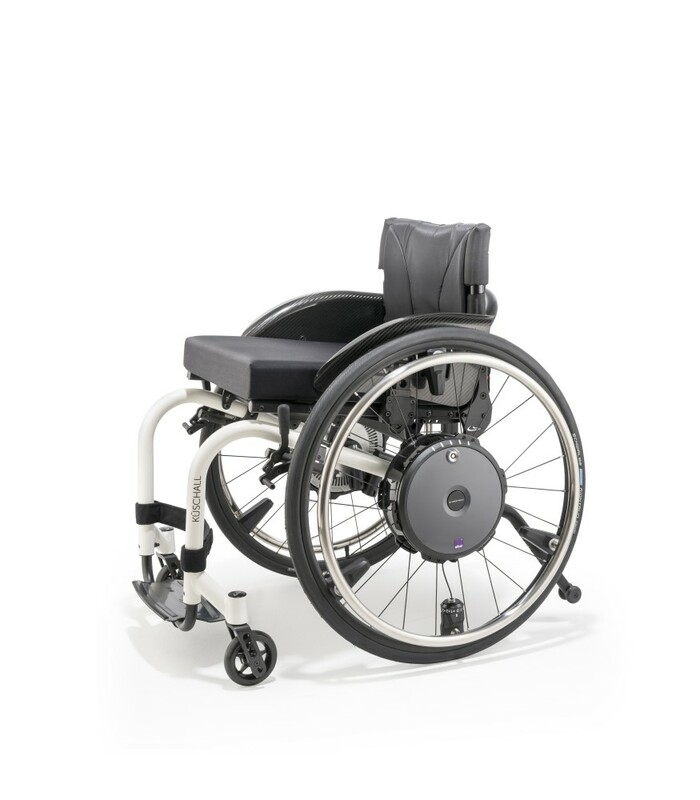 It is one of the few active power add-on drives that can be individually adapted to suit the needs and driving behaviour of any individual using a manual wheelchair. Each wheel weighs only 7.8 kg, a huge 33% reduction from the M15. Ideal for active individuals looking for a powerful and versatile mobility solution to suit a busy lifestyle, e-motion M25 allows you to increase your range and remain active while going easy on your muscles and joints. 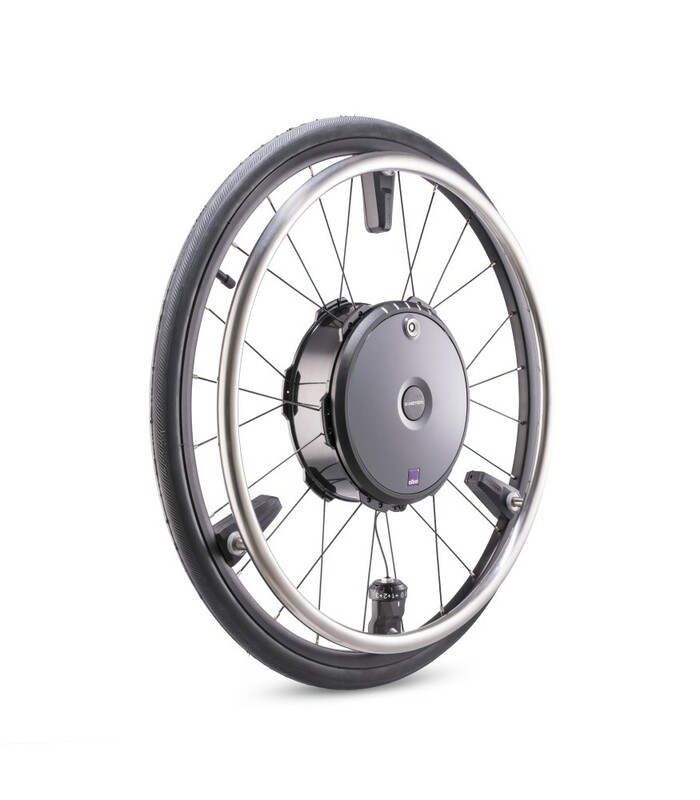 The e-motion power drive is unlike any other product on the market and is compatible with almost all wheelchair models and can be retrofitted at any time. 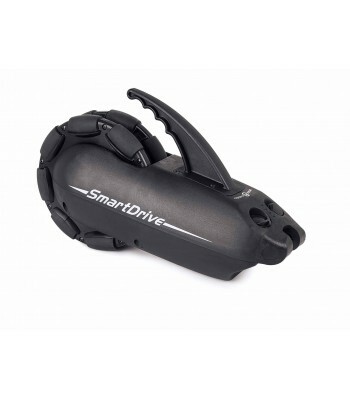 Slopes and heavier occupant weights (now up to 150 kg) are no problem as the drive unit continues to work at full power. 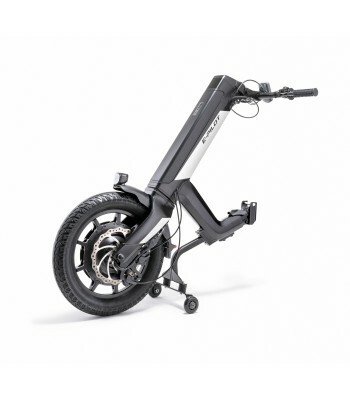 With state-of-the-art lithium ion battery technology, you can now benefit from a speed of up to 8.5 km/h*. 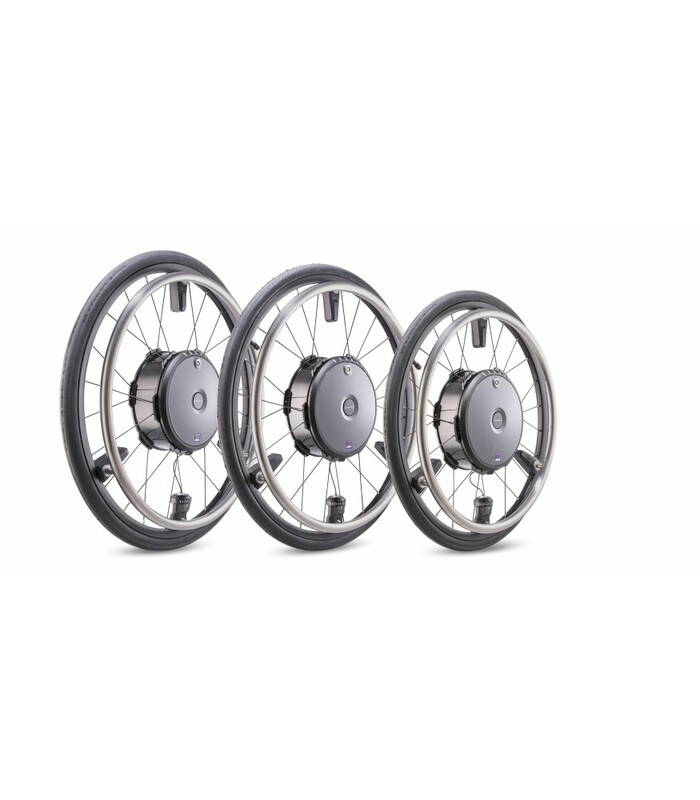 What’s more is e-motion M25 is available in three wheel sizes, in addition to the existing 22 inch and 24 inch versions, a new 26 inch version is available, accommodating a wider range of individuals. 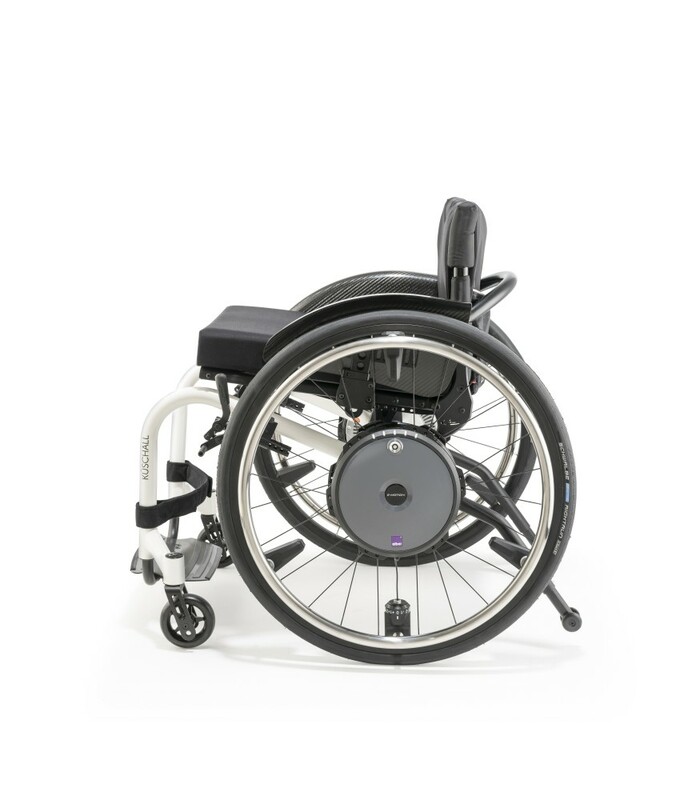 With driving sensors in the e-motion unit, both less physically active individuals with limited hand function as well as stronger individuals can experience the same level of comfort. 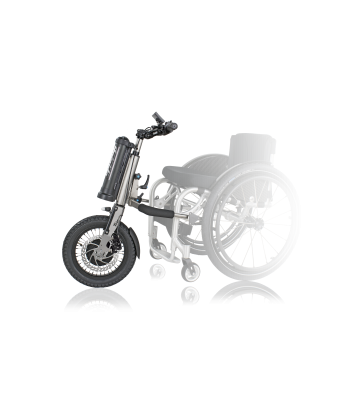 Making e-motion M25 a truly inclusive piece of kit, for anyone looking for a powerful mobility solution to support their active lifestyle. Available wheel sizes 22", 24 ", 26 "